Bartow County Home | Just Shooting Memories! This is another of those buildings which I have seen hundreds of times and thought of stopping to take photos. Well, over the summer, I did exactly that. I knew it was a rundown establishment of some sort, but not what. The front is graced by a nice long wheelchair ramp and the building has three chimneys. 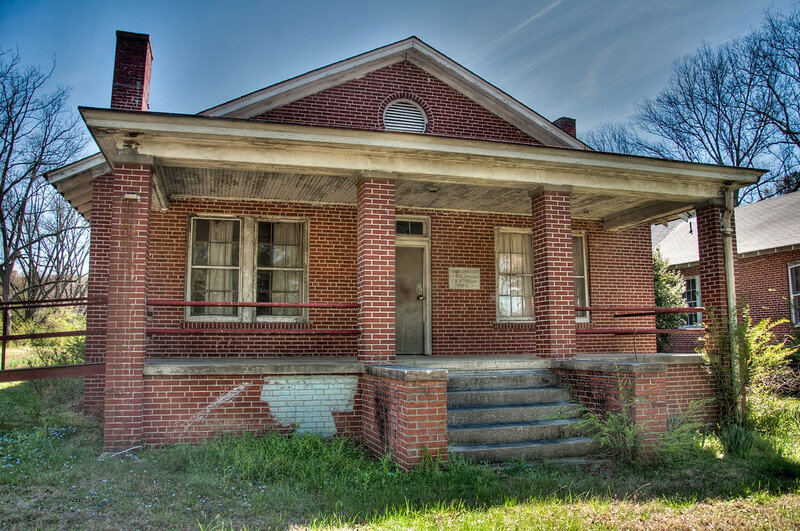 There is a sign on the front of the building which says “Bartow County Home / A V Neal Commissioner / E W Smith Builder / 1930” I did some research and have been unable to locate the purpose of this building. It almost looks like it could have been a nursing home or something similar. It is located on Highway 411 just north of White, Georgia. If anyone know the history, please pass it on?